This post includes affiliate links for your shopping convenience. Any purchases made through one of my links earns me a small commission, which helps to support this blog so I can continue to share content like this with you. All views and opinions expressed are entirely my own. There are many things we need to know as teachers that they do not teach you in college. One of the things I wish they would teach students- one thing I truly wish I had a class on, is classroom management. 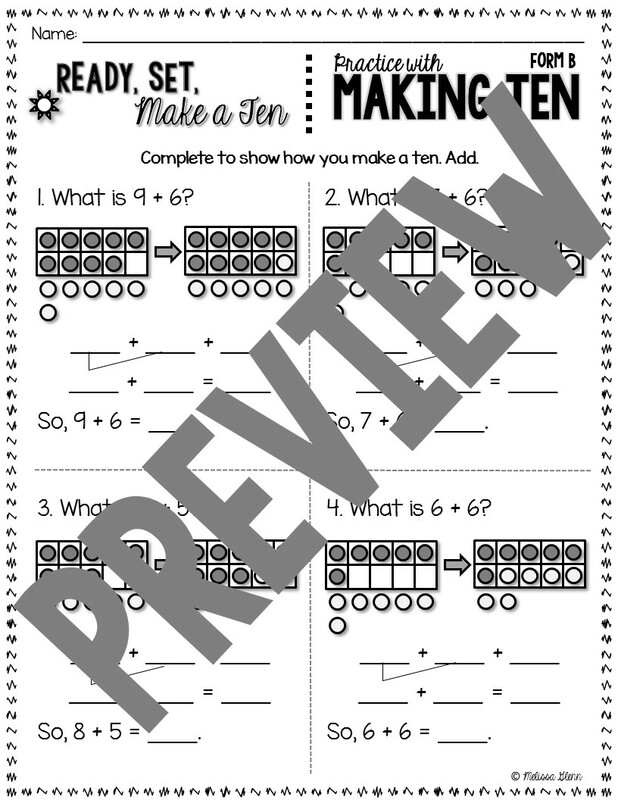 Sure, we learn as we go- but wouldn't it be great if we went into the classroom with a clear idea of how to do this? If we could start Day 1 with an awesome behavior management plan worked out and prepared? My first year would have been a lot different. Luckily, I did learn. Eventually. Through the years I've tried different things- read SO many different books. I envisioned a classroom where students were extremely productive, respectful, and successful- and each year I continue to strive for that. Some years it's easier than others. And some things work with certain groups... others do not. One thing I know for sure is the value of positive reinforcement. Sure, I believe students need consequences for poor choices (more on that in a future post)- but you can really shape desirable behaviors with your students with a solid positive reinforcement system. 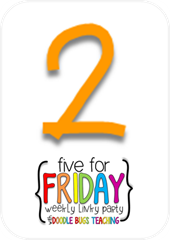 I have used many different kinds of incentives in my classroom: stickers, Class Dojo, positive notes home, Star Student, Dolphin Dollars, etc. 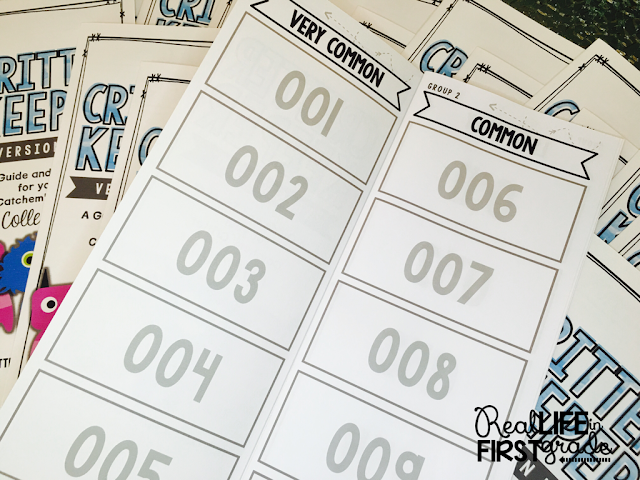 These things work- but I wanted to add something this year that would really get kids excited. Something that would be brand NEW and very motivating. That's when I came up with the Catchem' Critter Behavior Management System! The Catchem' Critter Behavior Management System is a new twist on motivating and encouraging positive behaviors with children. 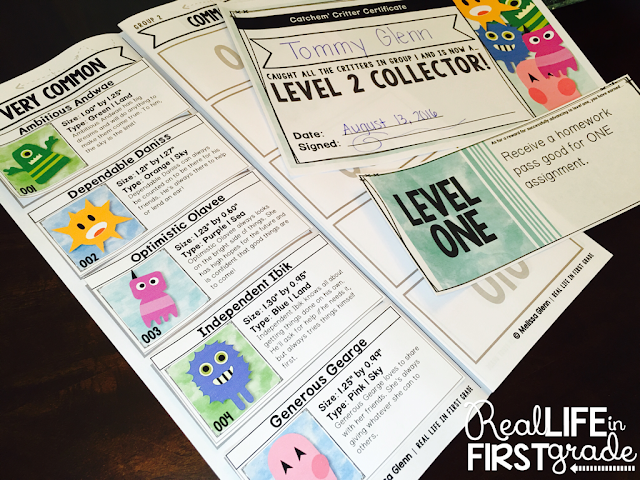 Within this system, all children are collectors and their goal is to catch as many critters as possible and advance as many levels as possible. Children catch new critters by making positive choices. New critters are given at the teacher's discretion. This system is an engaging alternative to giving out tickers, tags, etc. Students collect Critter Cards when they are caught making positive choices. 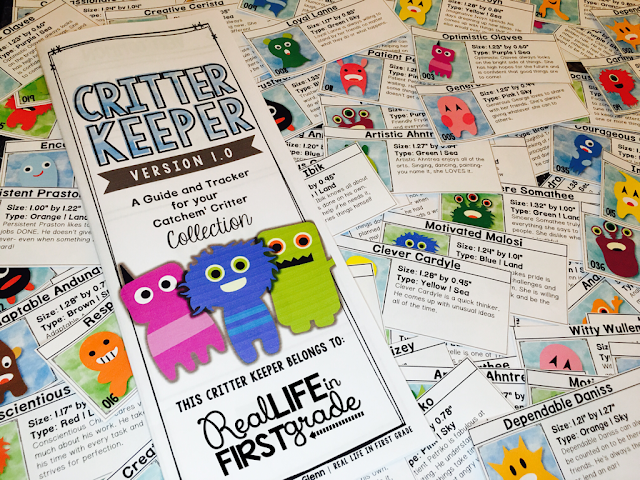 They store these critters in a booklet called a Critter Keeper. To make the Critter Keeper you simply need to print the pages front to back (double sided), fold down the middle, and staple. No need to cut! 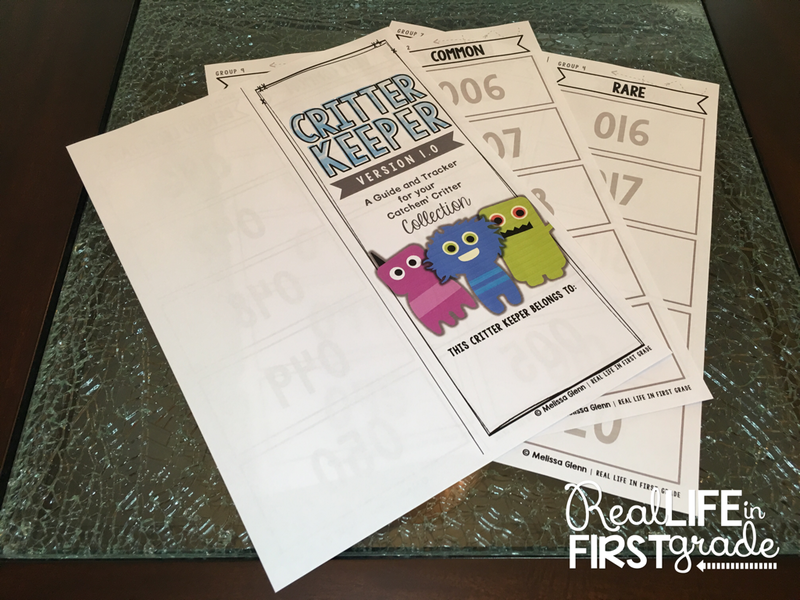 There are fifty numbered spaces in each Critter Keeper- one for each critter. Upon collecting all the critters in a group, they will level up and receive a certificate and/or reward coupon. 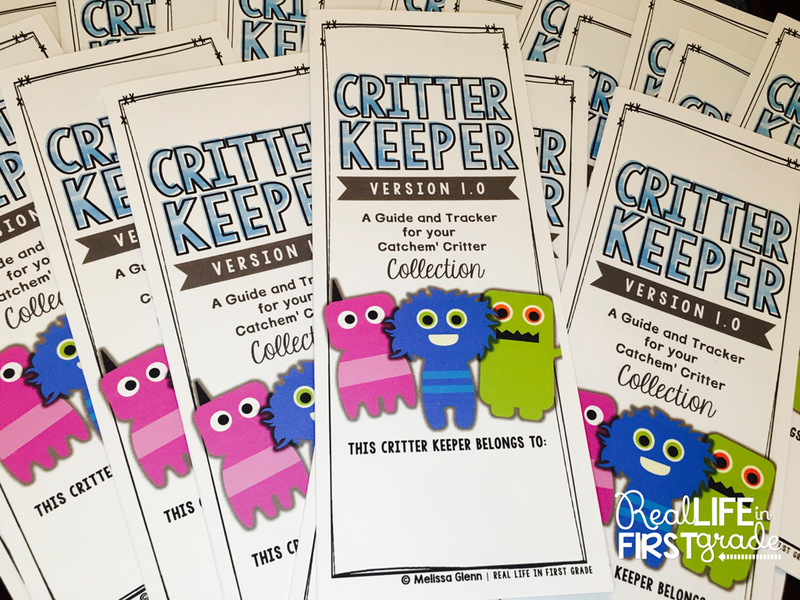 Each Critter Card provides the name, picture, number, size, type, and description of a different critter. There are 50 critters in this system. Every critter embodies a positive character trait. This is a great opportunity to expand your students' vocabulary, expand on character trait instruction, and explain/encourage ideal traits. As an option, the system also includes Collector Cards. 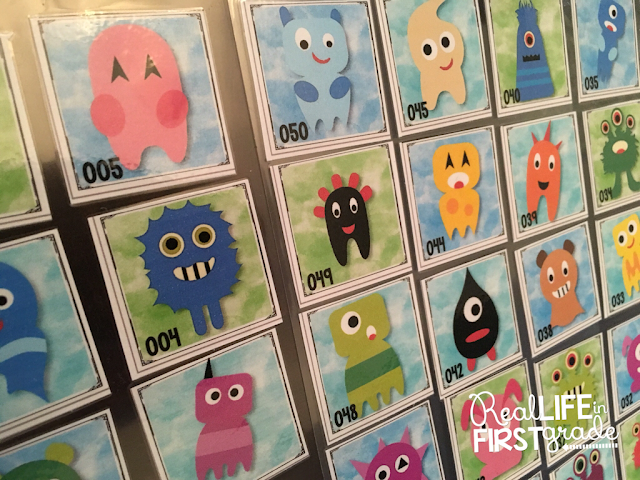 You may choose to use and display Collector Cards in your classroom (either in a dedicated wall space or on each of your student's desks/tables). 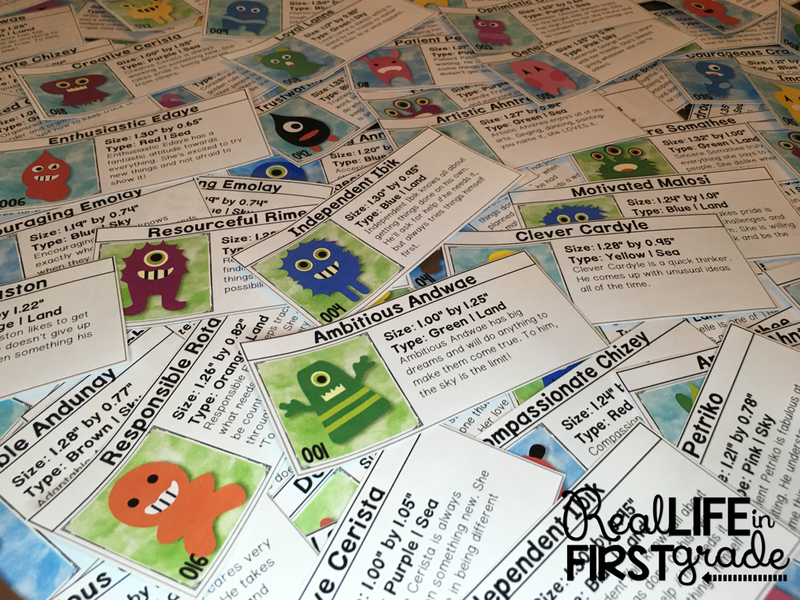 You can then attach badges or stickers each time a student advances a level. If you want to keep the children's progress more private, you many want to skip this component. Especially if you have students who are advancing at vastly different rates. This program is all about being positive! You can keep your critters organized by using plastic bags, envelopes, or folders... but the easiest is to use an organizer. Click here to find the organizer in this picture on amazon.com. 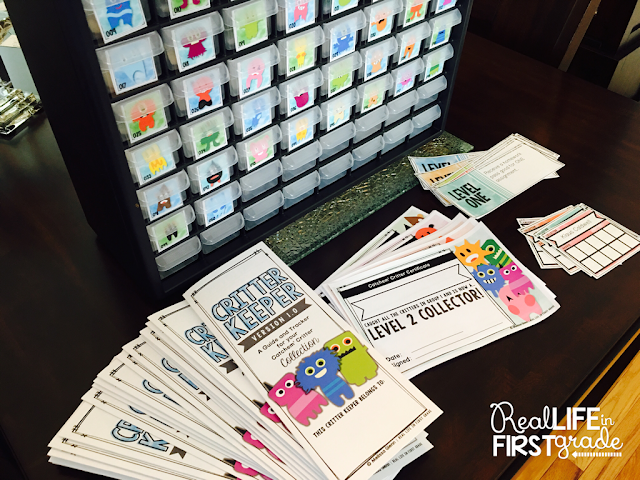 To make the label for each drawer I cut the pictures of each critter from critter cards and laminated them. I learned an awesome trick recently- put just a TINY dab of glue from a glue stick on the back of each picture to keep them from sliding around in the laminating pocket. 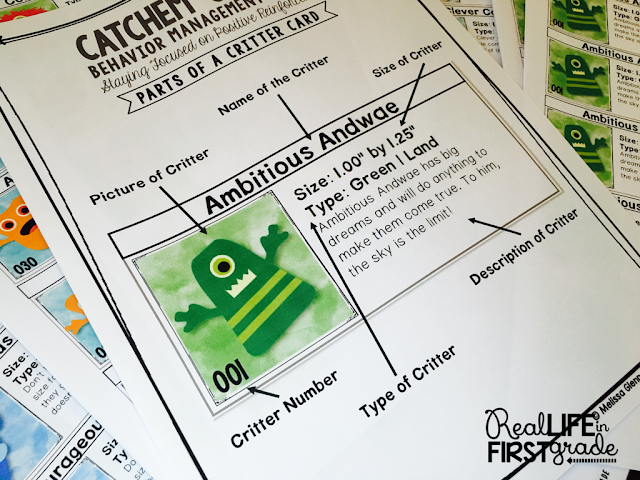 You can grab a free sample of the Catchem' Critter Behavior Management System by clicking here! If you'd like to grab the FULL system, click here. 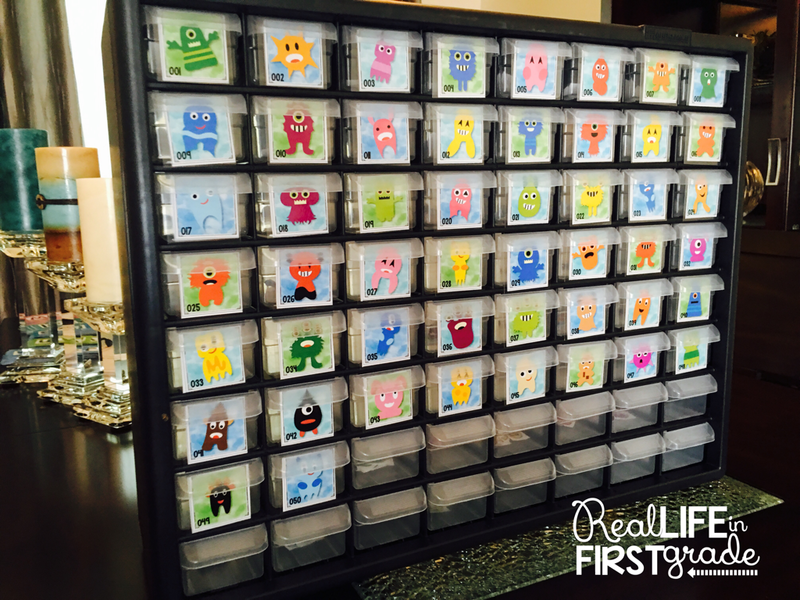 Check out more great back to school ideas at XClass to the Rescue! 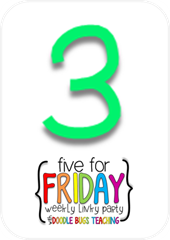 I'm finally back and linking up with Doodle Bugs Teaching Five for Friday! This post is completely random- I'm a little off my game! My last post was in NOVEMBER. There's nothing like getting mail. Especially when there's a package. Especially ESPECIALLY when there's Erin Condren package! 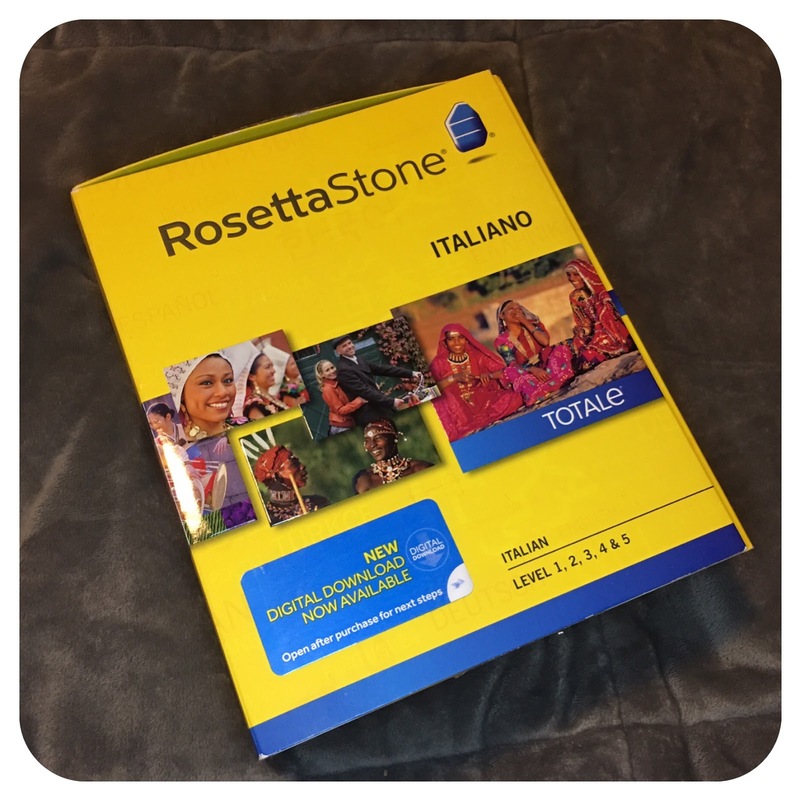 Over two years ago I asked my husband for all five levels of Italian Rosetta Stone for Christmas. Over two years ago I swore that I was going to breeze through the lessons and be fluent in no time. (Despite the fact that after two years of Italian in high school and two years in college it still didn't "stick"). Over two years ago was the last time I did a lesson. Yikes. I didn't even complete the first level. Well, I've finally decided that this will be the year I learn. So far I've been doing it a little every day. I'll let you know how that goes in two years. Instead of doing all the super productive things I promised myself I'd do this summer... like organizing all the junk in the basement... organizing the office... getting ready for September... washing the dishes... doing the laundry- Instead of all those things I've been playing Subway Surfer on my iPhone. I know. I'm terrible. My husband and I are obsessed. 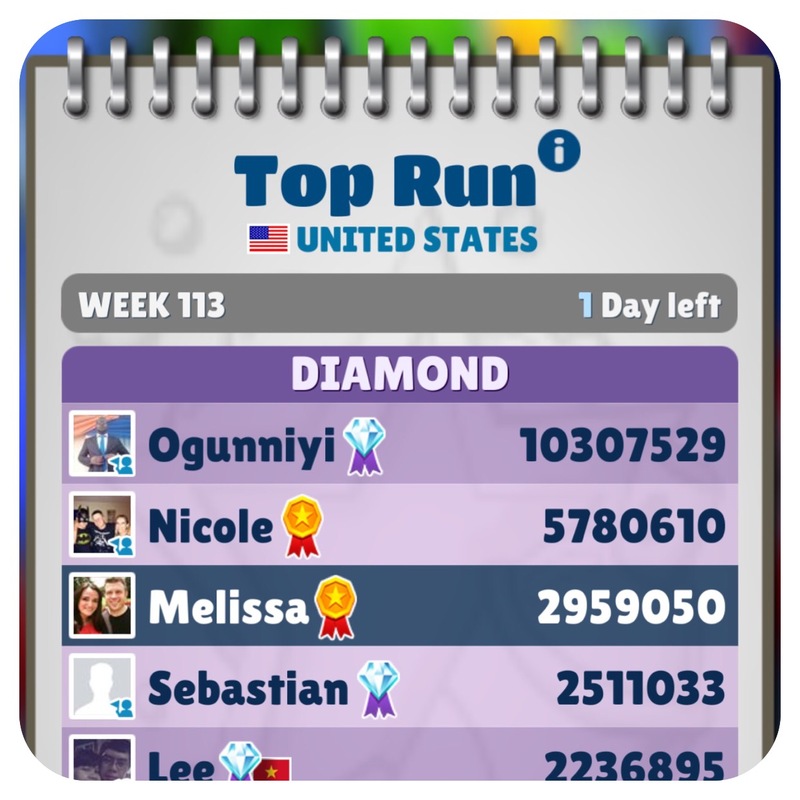 Notice below that my score is over two million. TWO MILLION. I know, I know... this is probably not something I should tell people. 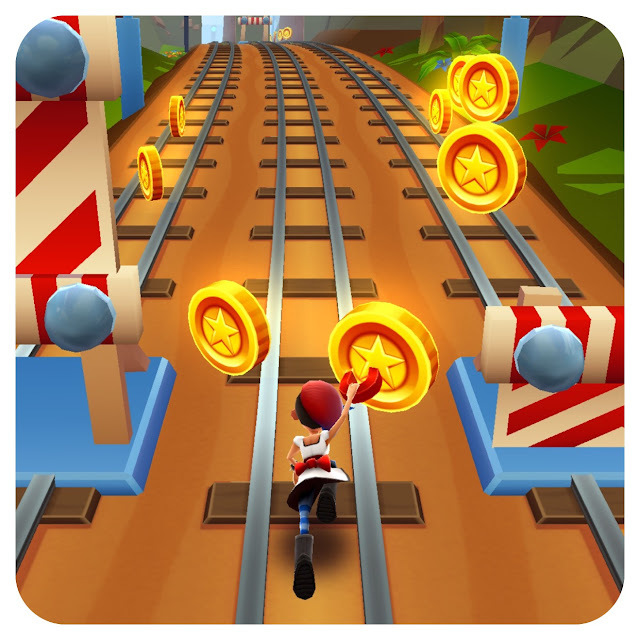 If only I had a magnet in real life that pulled money to me everywhere I went. Where can I get one of those? 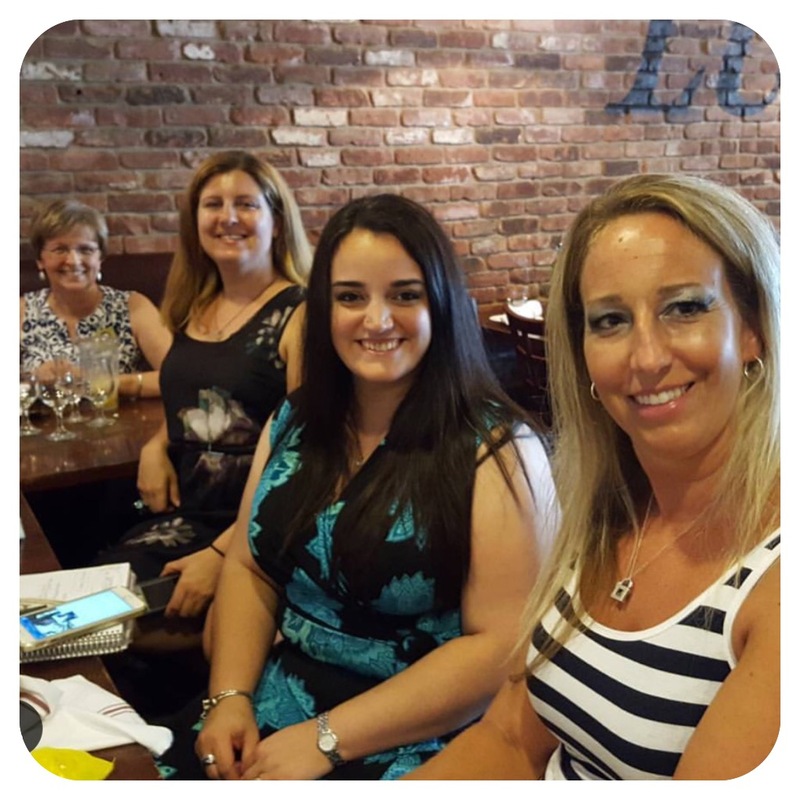 Last weekend I went to a Jersey Shore TpT Meetup- and it was AWESOME! 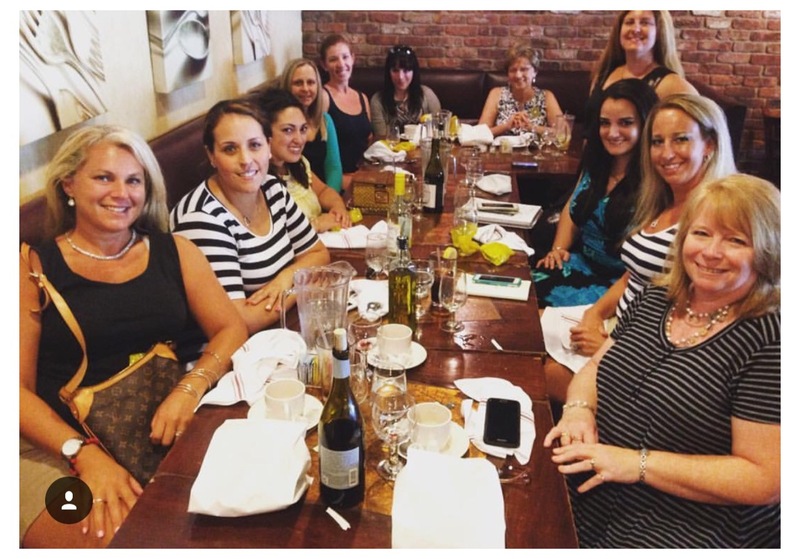 I learned so much from all of these fabulous sellers... I am so grateful for their patience with me and my million questions. I even brought a notebook and took notes. Yup. I was that girl. I don't even care because it was worth it. 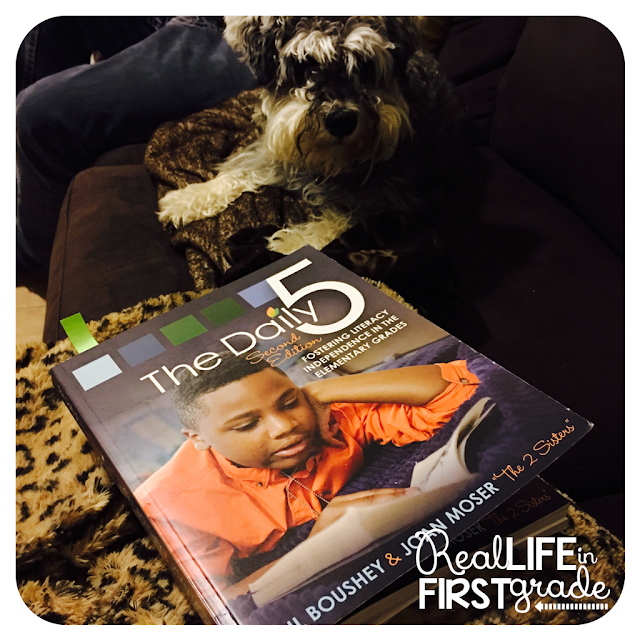 Have you read The Daily 5? Do you use it? Do you LOVE it? Comment to let me know! 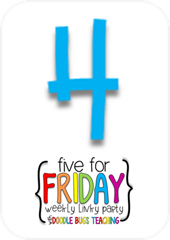 I'm linking up with Doodle Bugs Teaching Five for Friday, again! 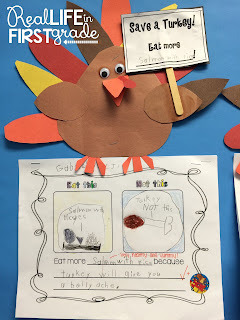 I can't believe I almost let the entire month of November pass without posting about the adorable turkeys I made with my students a couple weeks ago! 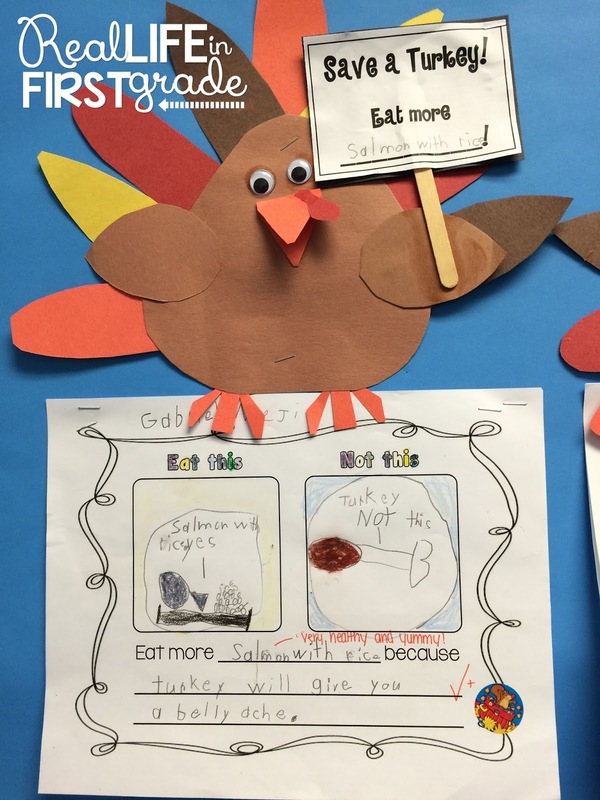 We brainstormed a list of reasons one should not eat turkey- and then we created another list of "turkey-approved" alternatives for Thanksgiving. 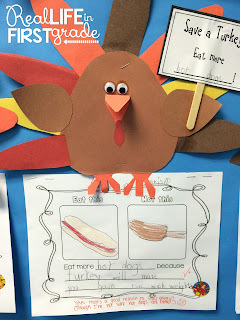 The children then completed the page on their own, and then composed the turkey craftivity with my assistance. 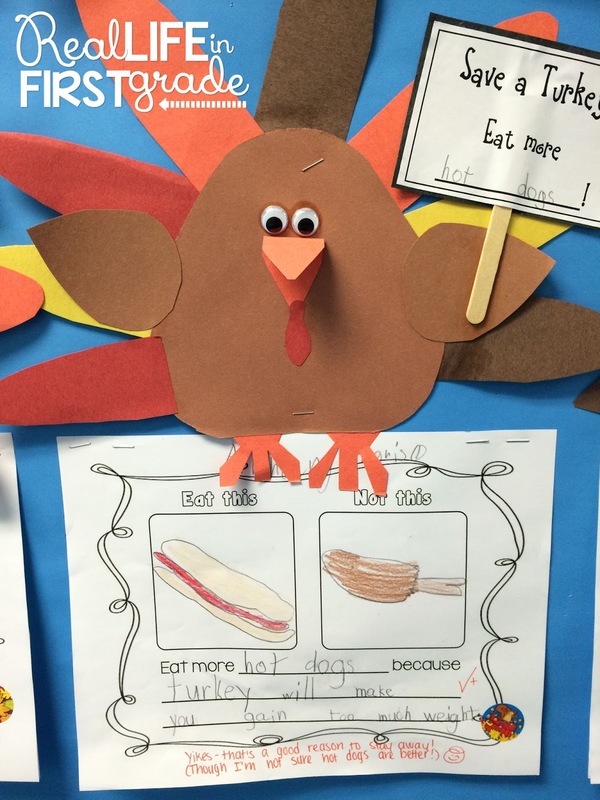 This idea is credited to Melissa from the blog First Grade Smiles. 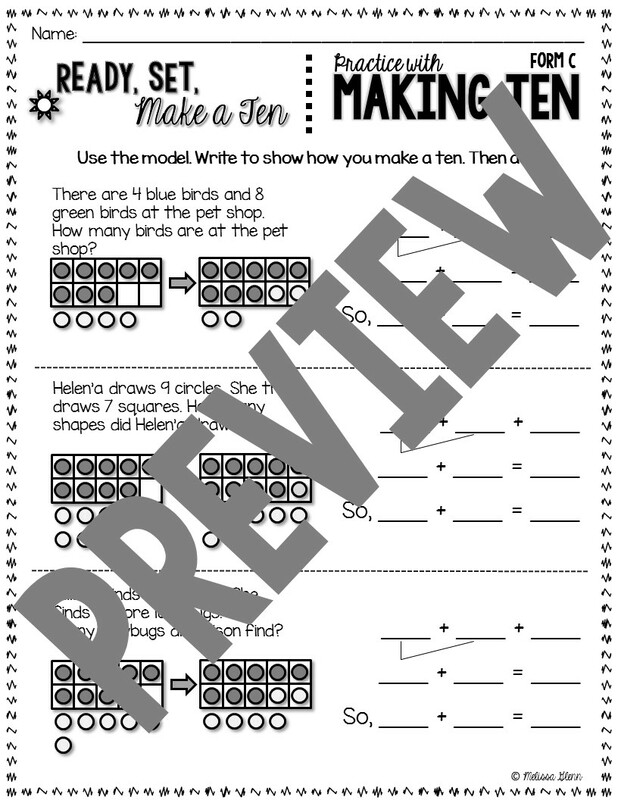 (Click here to visit her blog to find the writing papers for this activity). 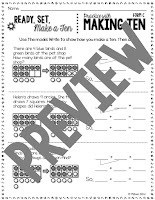 I created the craftivity myself though- but I didn't scan the templates yet. If anyone is interested in grabbing it, comment below! "Hellooo?" I am LOVING Adele's new album and listening to it on repeat. And singing "Hello" on repeat as well, much to my husbands dismay. (He likes the song- it's my voice that isn't too great). Anyway, seriously love her and these videos- check them out if you are a fan! 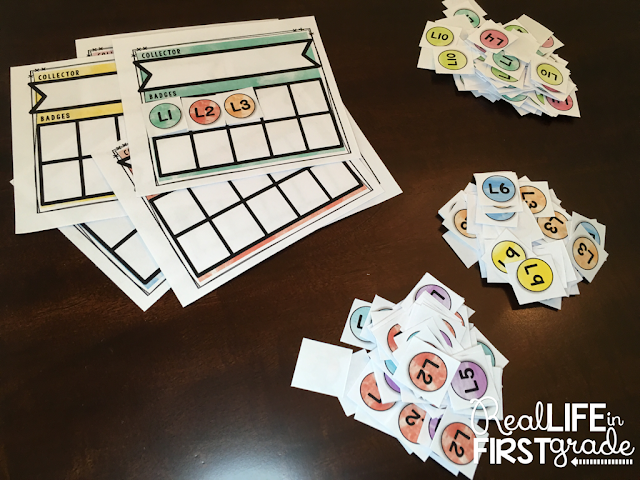 It's been a while since I'm had enough time to really sit at the computer and finish a TpT product. 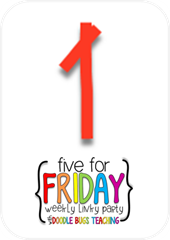 A couple weeks ago I made a pact with a friend of mine to get a new product up this weekend and do a Five For Friday post. I really needed that motivation to get going- I'm so thankful to have someone holding me accountable! 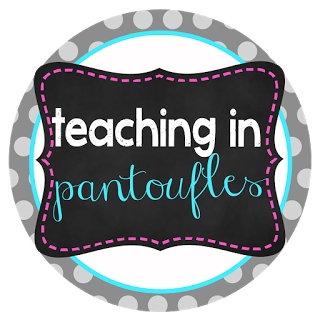 Jenna is a middle school French teacher, and is also relatively new to the blogging/TpT world. 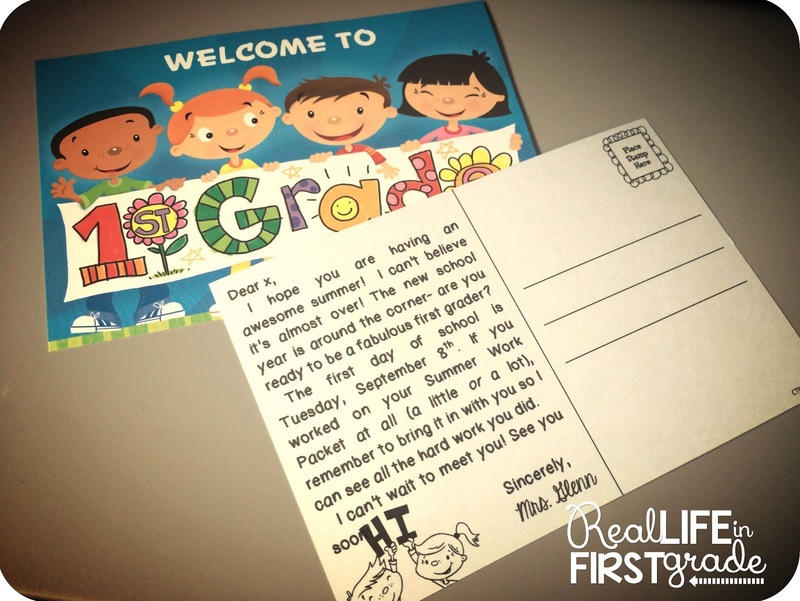 Click here to visit her blog and here to visit her TpT store. She's awesome! Share it with any French teachers you know! Speaking of new products, I'm super excited that I finally got a new one up! (Thanks again, Jenna!) 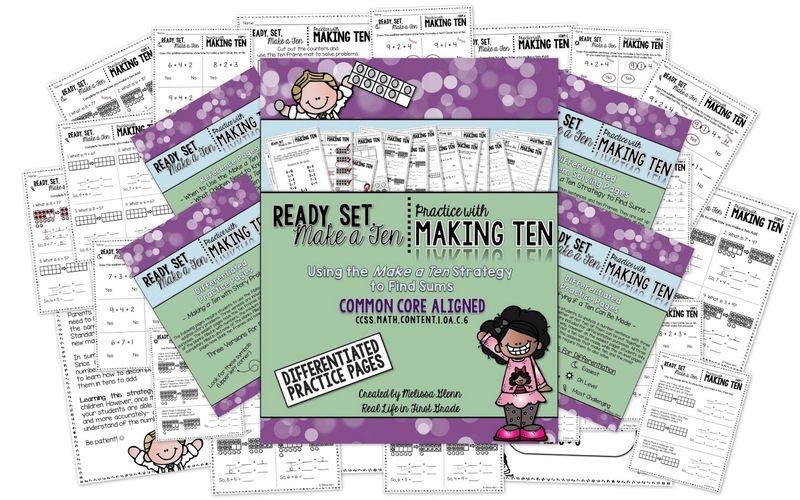 The latest is a packet with differentiated practice pages for the Make a Ten addition strategy. Year after year my students struggle with this strategy. And it's near impossible to find anything online that correlates with the way the strategy is presented in our math program (Go Math!). 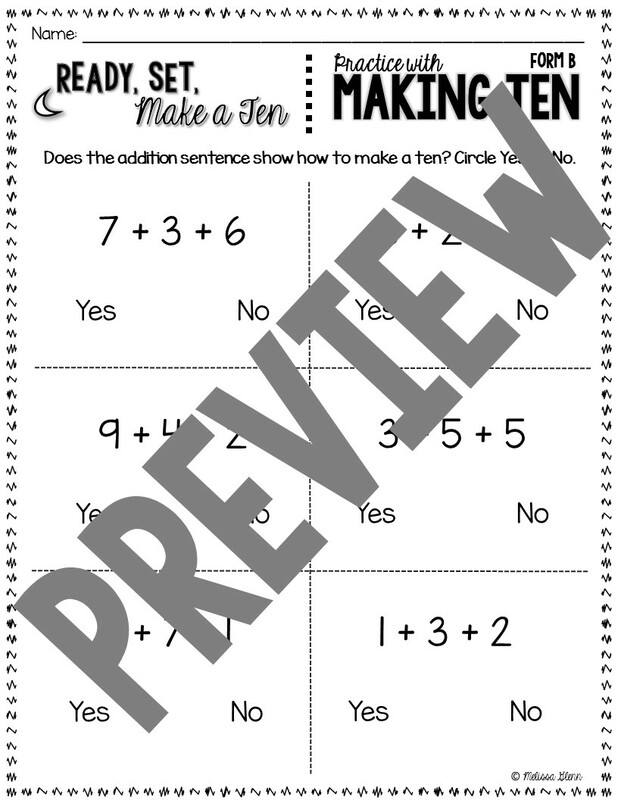 I made this packet for use with my own students- and I think a lot of other people could find it useful! There's three levels of ability (easiest, on level, and most challenging). You can find it on my TpT store by clicking here. So... to say it's been a while would be an understatement. I have to give credit to all the amazing bloggers who find a way to make time for their blogs while balancing work, family, and friends. I have yet to discover how to do this gracefully! In class my students and I have been busy learning about bats. Stellaluna is one of my favorite read alouds (I always cry when Stellaluna is reunited with her mother) so I was super excited to launch this unit. 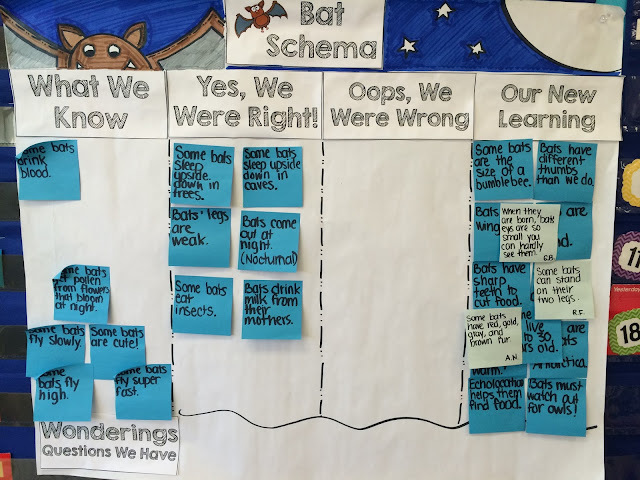 We started the unit by activating prior knowledge about bats with a Bat Schema chart (thanks to Erica Bohrer's amazing bat unit- click here to read her blog post about it and check it out for yourself). Then we did a lot of research. A lot of research. We borrowed books from the library and from other teacher friends- I even bought a few new titles to add to our class library. The interest was so high for this- the kids were talking about bats all. the. time. We also used Lyndsey Kuster's "Flap Your Wings" bat unit to do our research. 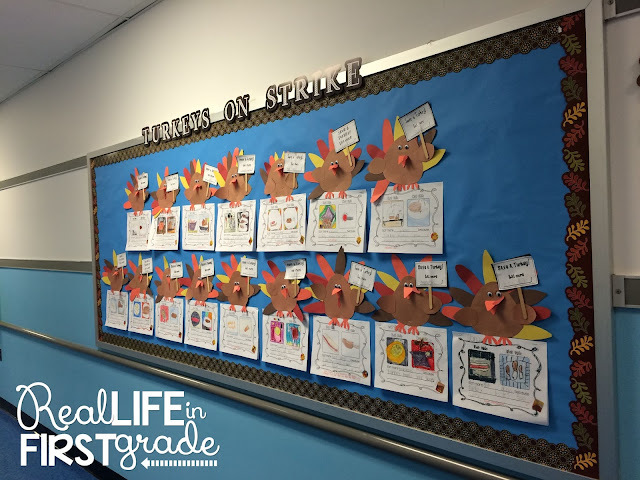 Click here to check it out- the unit includes differentiated texts and links to awesome videos which my students LOVED. Great book suggestions, too! As we learned more and more about bats, we updated our schema chart. (The picture above is after two days of "bat research"). All this research about bats really got my students thinking. They were especially interested in vampire bats, naturally. We had to do some special google research to assuage fears regarding whether or not vampire bats can be found in the US (thankfully, they are not). One of my sweethearts told a vivid account of his encounter with a vampire bat in "the place where you can find vampire bats". According to him, he bravely "defeated" the vampire bat. After some prodding, he admitted that his story was part fantasy at least- he "really did got to that place where vampire bats are!" Of course, we talked extensively about how vampire bats are not actually vampires. By the end of the unit most of my first grade friends were not as terrified about bats anymore and had a newfound respect of them. MOST of them. To tie in math- we made a class graph telling whether we thought bats were cute or creepy. This fabulous idea is straight from Cara Carroll- I just love everything she does! Click here to read her blog post about bats. 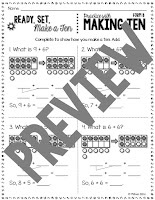 The kids colored a simple bar graph to match this picture graph we made together- again, click here to find it and grab it from Cara Carroll's blog. 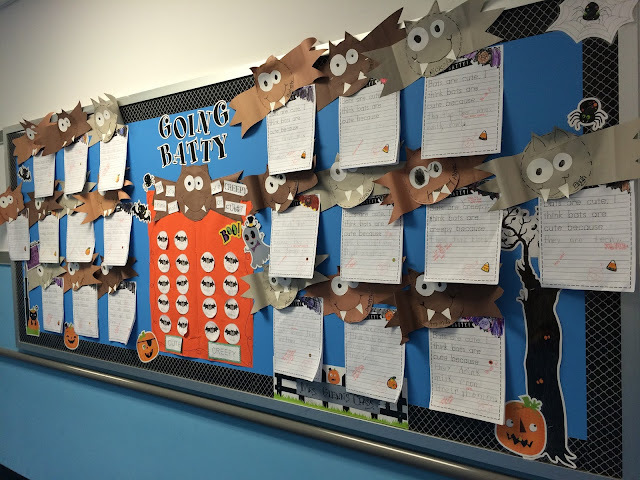 To tie more writing into the unit, I had each student write about why they think bats are cute (or creepy). 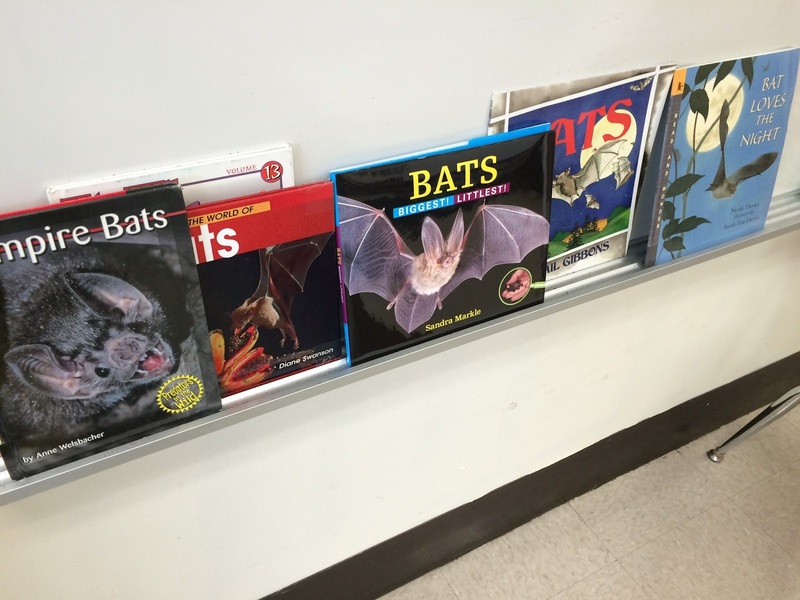 I differentiated it by providing some students with the starter: "I think bats are cute. Bats are cute because..." or "I think bats are creepy. 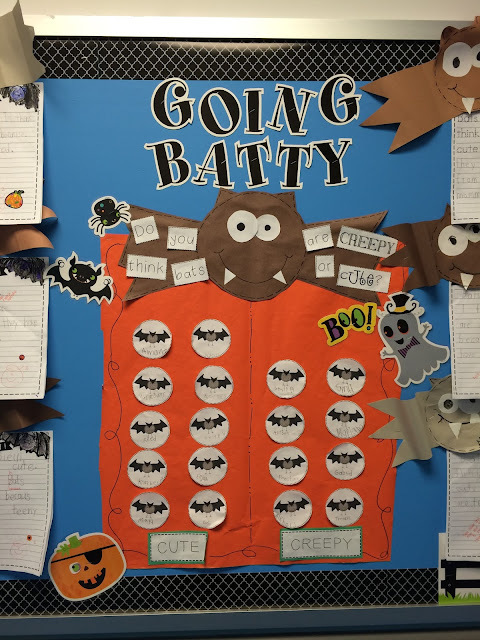 Bats are creepy because..." Other students had to write both sentences without a starter. The kids loved writing about bats and creating their bat craftivities! With the end of October approaching, our bat research is dying down and we are gearing up to study turkeys, of course! What are some fun units you explore in the month of October? Spiders, anyone? One of my end of summer traditions is sending postcards to my new students. Kids love getting mail- it makes them feel so special! It does take a bit of time to get them done, but it's so worth it! 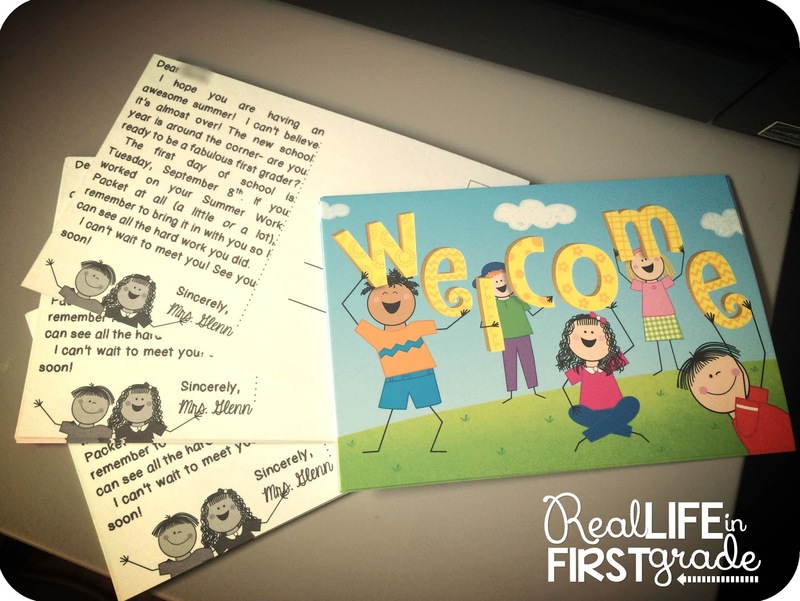 After trying year after year, I was FINALLY successful in printing directly onto the postcards! Having an awesome printer now helps quite a bit. Now, I know that typing the message is less charming and personal than writing one by hand. I just don't have time for that. (It might also be because my hand is killing me after handwriting that many postcards one after another. Aaaaand maybe also because printing them decreases the likelihood of my making a mistake when my hand starts to cramp and my eyes start to glaze over). It took a lot of trial and error. Here are some of the many "errors". But I did finally get it! 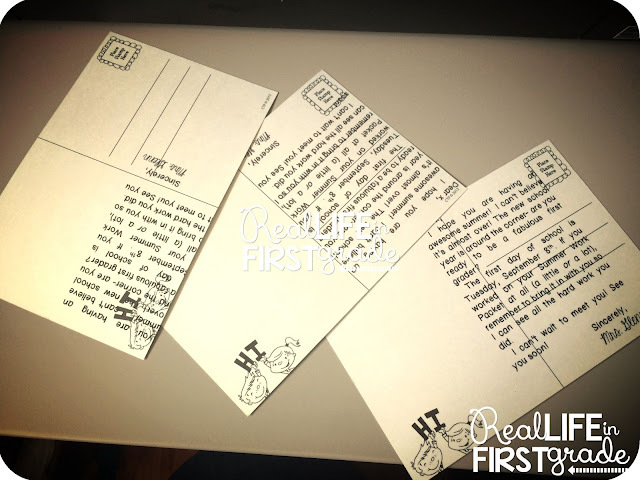 In order to do this, I created a 4x6 postcard template in MS Word. After editing the text with the student's name and your name, you're ready to print. Load the postcards into your printer (I put a stack of 20 in). I used an HP Envy 4500... this configuration may not work for your printer if you have a different one and you might need to play around with it a little. Make sure you change the student's name each time you print! (You need to print them one at a time if you want them personalized). If you're really bold, you might try figuring out how to print the address on the lines as well. I wasn't about to go that far. Had to draw the line somewhere.Mailing labels will do the trick. I'm linking up with Doodle Bugs Teaching again for Five for Friday- although once again, I'm getting to it on a Saturday again! 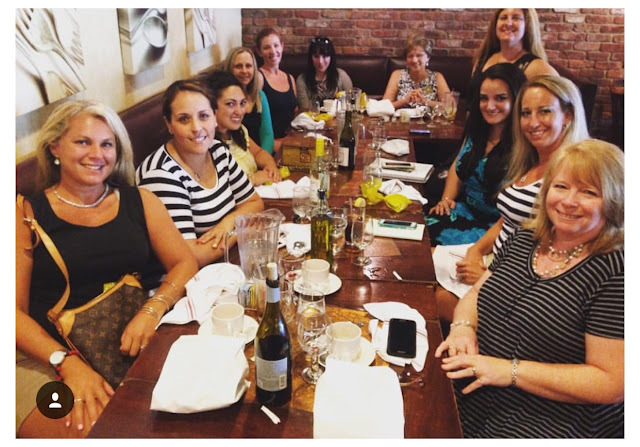 This week I had the AWESOME opportunity to be a part of the Tri-State Blogger Meetup at the TpT offices in Manhattan. The experience was amazing- I met some of the people who work for TpT (they couldn't be any nicer) and so many wonderful Teacher-Authors from NJ, NY, CT, and PA. Everyone was so kind and I learned so much. I have to thank Amie from Glitter Meets Glue Designs for being so unbelievably welcoming and taking me under her wing! You need to check out her store on TpT- her clipart is beautiful and unique! I also had the pleasure of getting to know Danielle from Study All Knight and Christina from School Daisies- just two of the incredible Teacher-Authors I met. It was so nice to be a part of a community of teachers that support and encourage one another. I felt beyond inspired when I went home that evening. So much to learn from these great people! On Facebook it seems that NAEIR orders are all the rage. Maybe it's because I can't get that excited about laminators and scotch tape or maybe it's because they didn't accept my application yet- but it's just not doing anything for me. My trip to Lakeshore Learning with my closest school friends and BFF however, is another story! 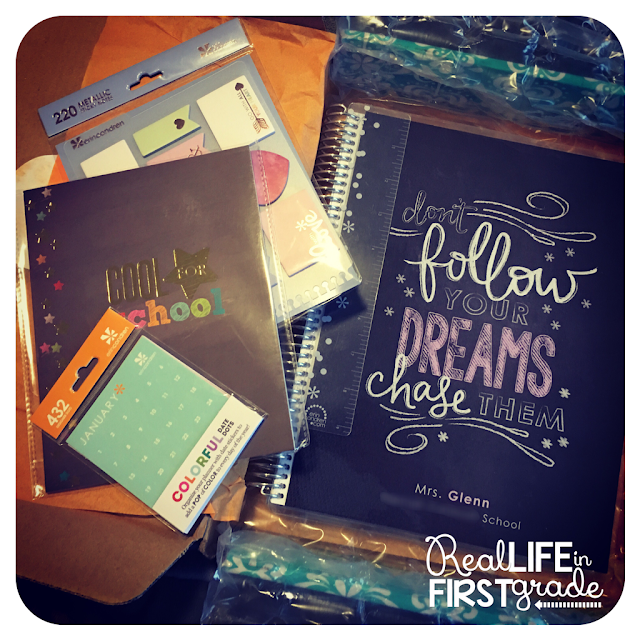 There's something about brand new school stuff that makes me JOYFUL. I've been that way since I was a kid. 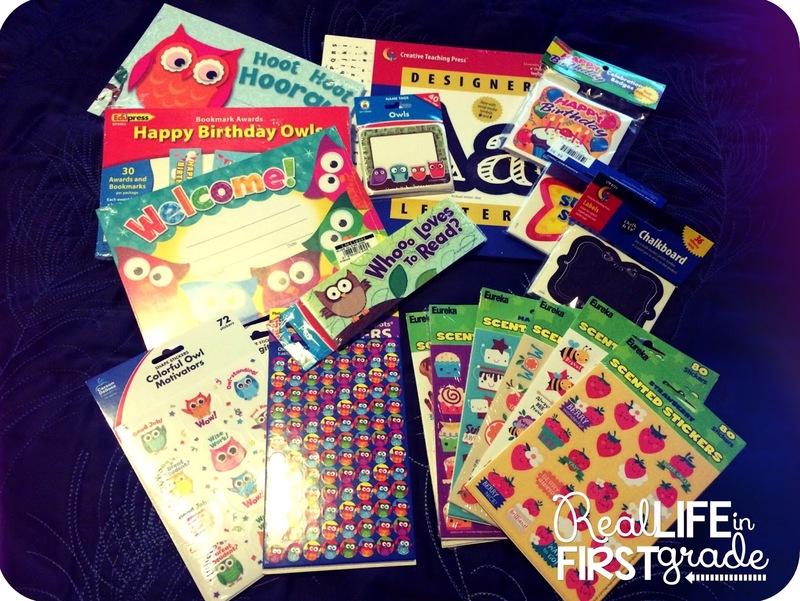 But come on, who wouldn't get excited over strawberry scented stickers and owl certificates?! Super excited about this. Since my first year of teaching I've wanted curtains in my classroom. THIS is the year it finally happens... my ninth year. Better late than never! My BFF's mother generously agreed to make curtains for my classroom from the fabric I picked up at the store. I couldn't pick just one. Of course not. So I got three. 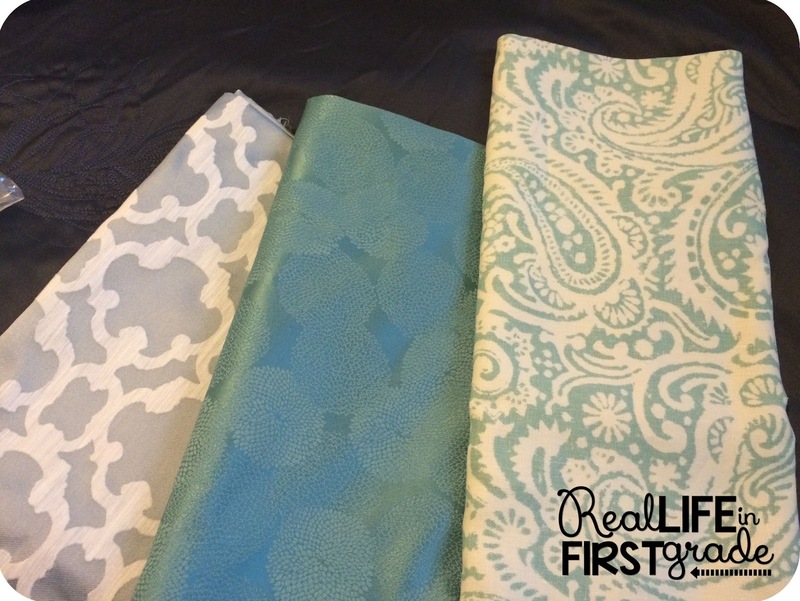 I'm thinking the teal fabric for curtains and the others for pillows in the reading area. (Yes, I may have picked up stuffing, too). Can't wait until it all comes together! 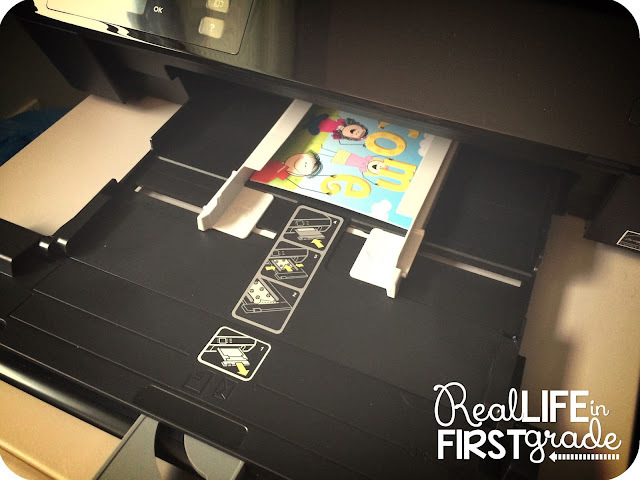 Okay- HP Instant Ink. If you don't know what that is, you need to click here and find out about it. Seriously. This is life changing. You don't pay for actual ink cartridges... you just pay a monthly fee (for example $10.00 a month for 300 pages). It doesn't matter if the page is a full color picture or just text. 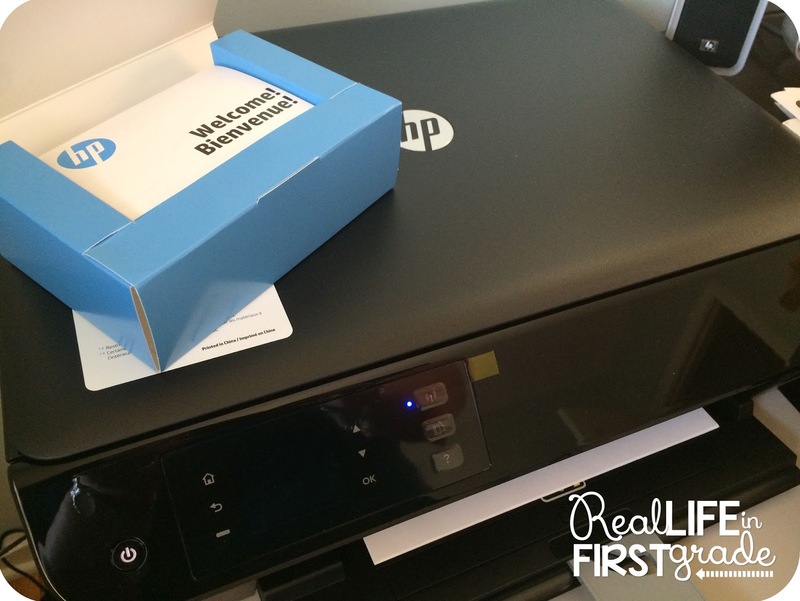 Then, when your ink is running low- your printer will let HP know to send a new one! (I'm sorry for all the exclamation marks... it's clear I am very excited about this). It only works with certain printers though, so make sure yours is compatible! 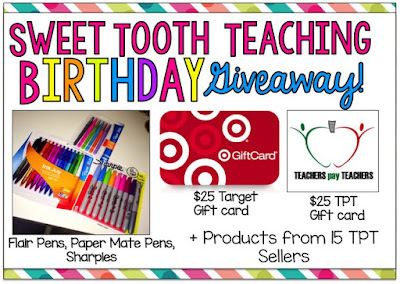 Yari from Sweet Tooth Teaching is hosting a fabulous giveaway! 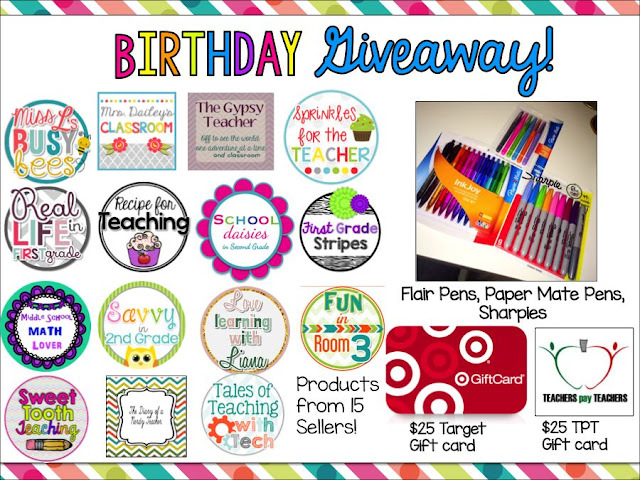 You can win TpT products from all of the Teacher-Authors in the graphic below (myself included), a $25.00 gift card to Target or TpT, or a set of Flair Pens, Paper Mate Pens, and Sharpies! 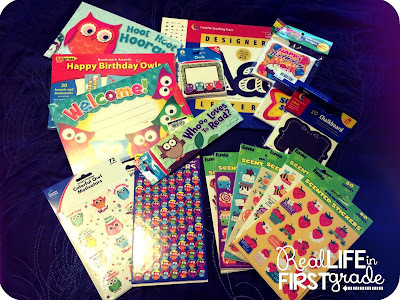 Any of these prizes would be great to have for the start of a new school year. 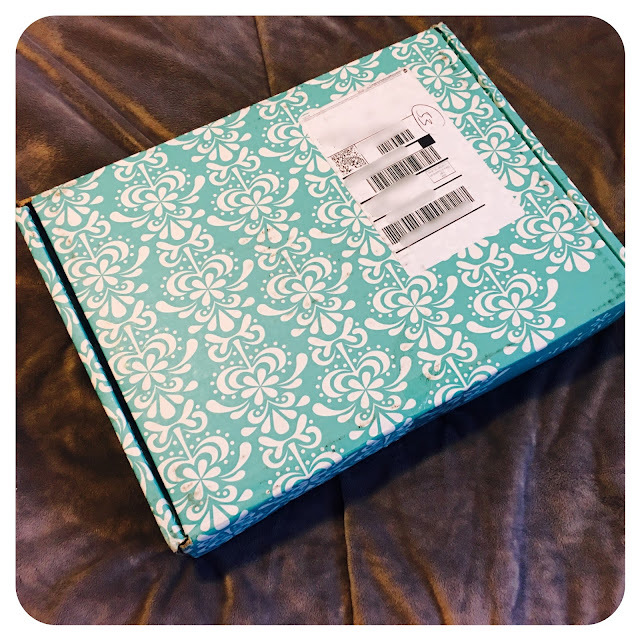 Click here to visit her blog and enter!